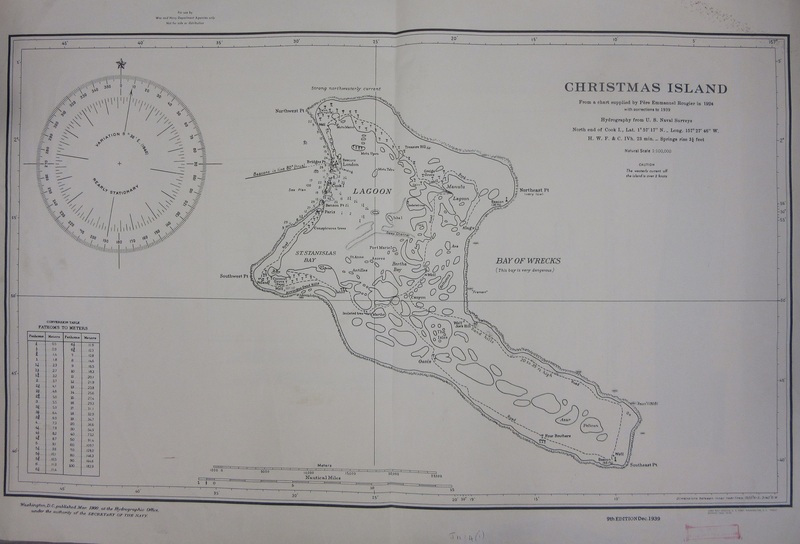 Two maps of Christmas Islands, the first off the coast of Java in the Indian ocean, the second in the Pacific Ocean and more commonly known as Kiritimati, which means Christmas in the Kiribati language. 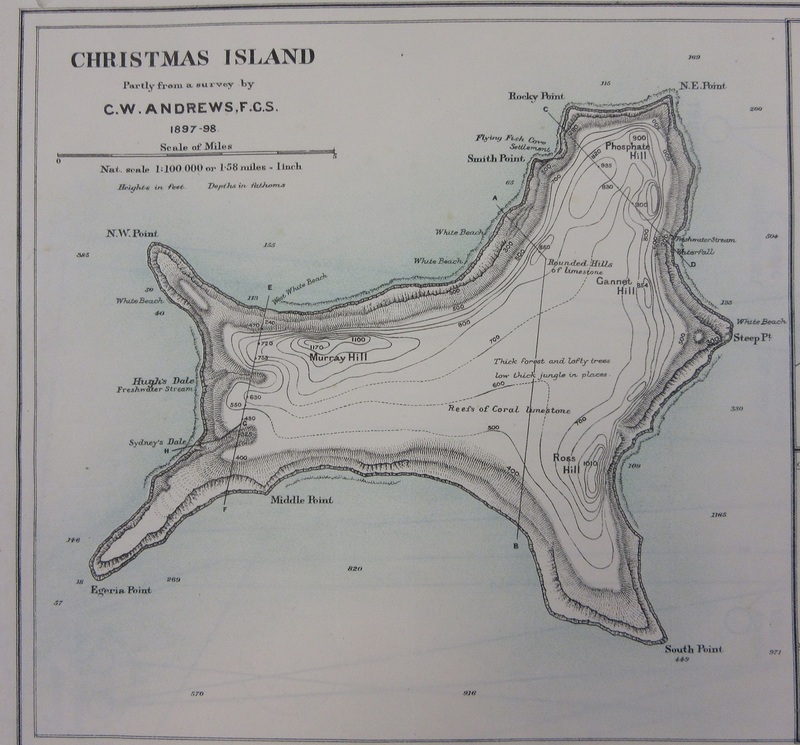 The Indian Ocean Christmas Island was discovered in 1615 and named Christmas Island in 1643 by William Mynors. The Pacific Ocean version was discovered by Spanish explorers in 1537 but named by Capt. James Cook on the 24th December 1777. It is a raised coral atoll and part of the Republic of Kiribati. This entry was posted in Humour on 18 December 2017 by stuart. The Battle of Austerlitz, fought on the 2nd of December 1805 between the French under Napoleon and a larger, allied, army of Russian and Austrian troops was a decisive victory for the Grand Armée, forcing Austria to give up substantial territory and breaking up existing coalitions, redrawing both the geographical and political borders of Central Europe. 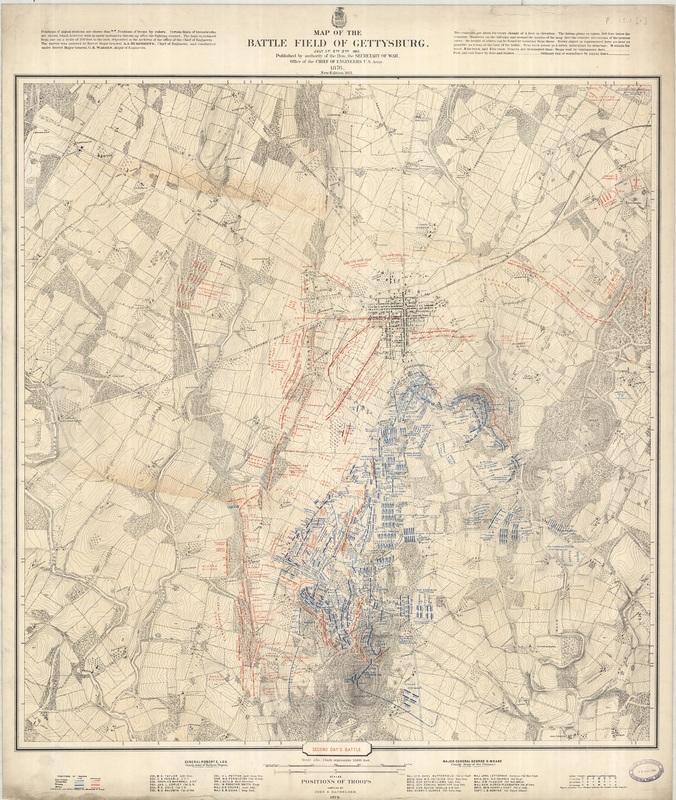 The map shows the formations of both armies at the start of the battle and then troop movements, including the crucial drive by the combined army into the right-flank of the French, labelled C on the map. This weakness in the French line (A) was a deliberate ruse by Napoleon which left the middle of the Allied Army exposed (B). The French attacked with as much force as available on the Pratzen heights (H), and here the battle turned to the French. Austerlitz forced Austria into a treaty with the French. Austria also lost land to France, Germany and the Kingdom of Italy. Russia soon declared war in France. Austerlitz is now in the Czech Republic, and has been renamed Slavkov u Brna. 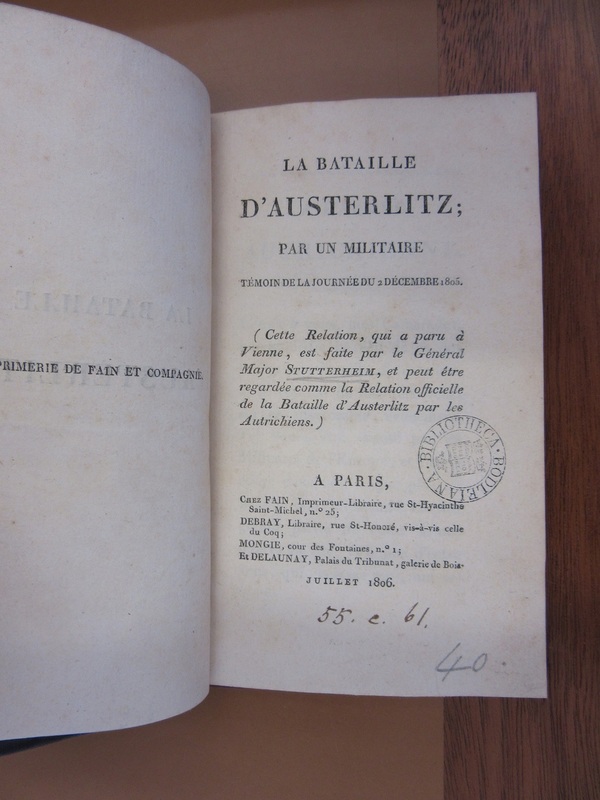 Austerlitz was a crucial battle for the French, not just in the field but also back in France. Facing financial problems news of the victory was greeted with great acclaim, and within a year books were published celebrating the news. 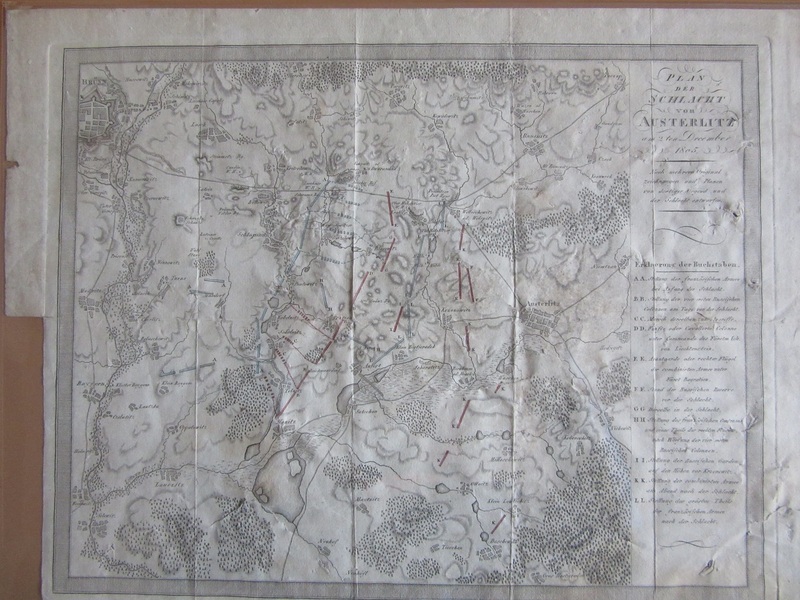 The map is an example of a battle plan. 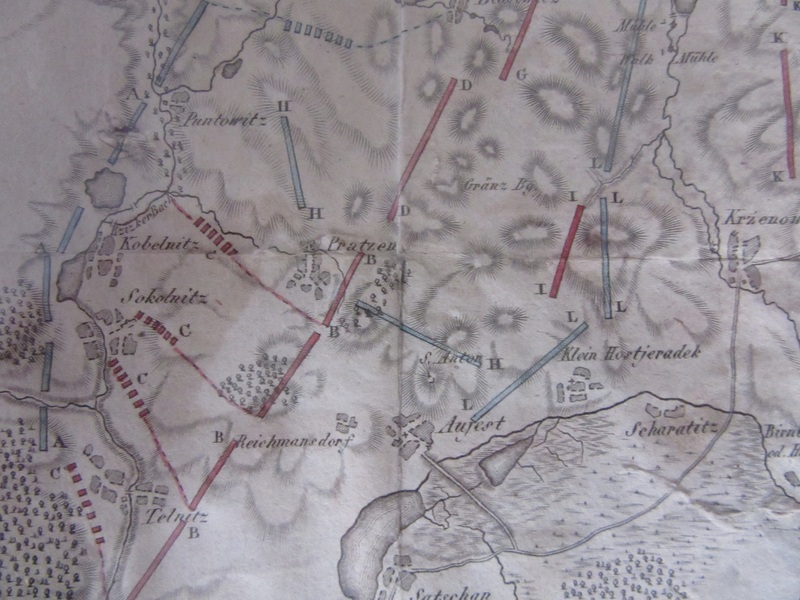 Battle plans are tricky things to get right, over a static landscape troop movements over a period of time have to be shown to give a sense of the way a battle develops, the Austerlitz map captures this well. 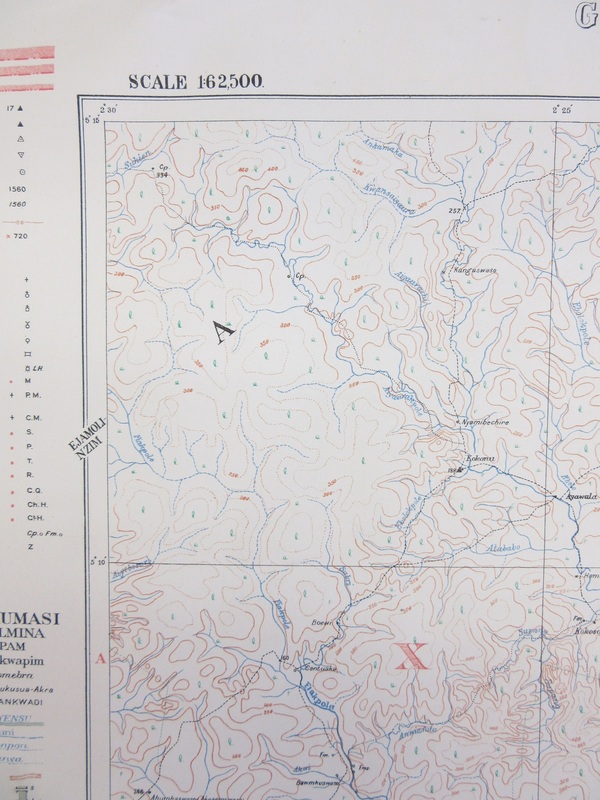 An example of a later and more detailed map is shown here. Gettysburg was a major battle of the American Civil War, fought in 1863. This map is part of a set showing each day of the three-day engagement in what was a longer and more complex battle than Austerlitz. Stronger and more separate colours are used to differentiate the two opposing armies and the scale and underlying topographic information are more suitable for showing the terrain and action taking place. This entry was posted in Military on 1 December 2017 by stuart.